Delicately crafted by nature over a 15 year journey through the French Alps, for a unique balance of minerals. evian® remains completely untouched throughout the bottling process, so you can enjoy its naturally pure and refreshing taste anywhere, any time. By 2025, evian® will become a full circular brand, making all of its plastic bottles from 100% recycled plastic, seeking Zero plastic bottle waste. 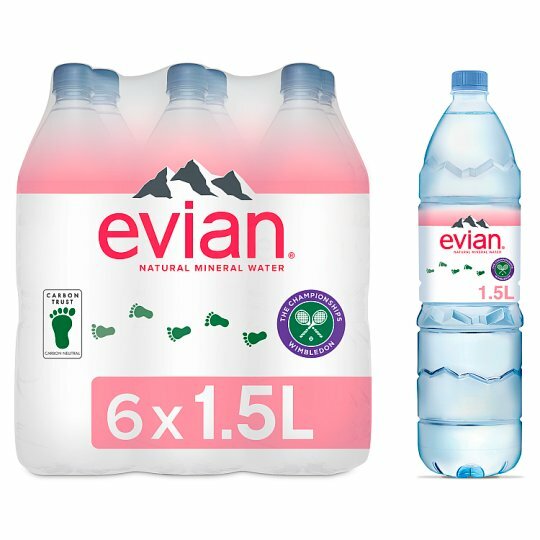 Visit: http://circular.evian.eco/ for more information. Store in a clean, cool and dry place away from sunlight, strong odours and chemicals., Best before date indicated on bottles.